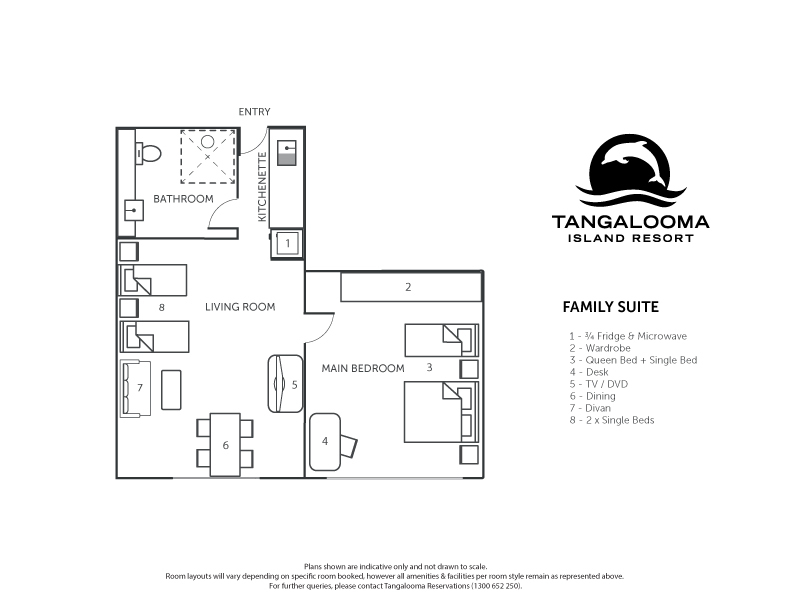 Capturing the Moreton Island style, Tangaloooma's One Bedroom Family Suites are furnished for relaxed comfort and are located only 50 metres from the beachfront. These One Bedroom Family Suites feature air-conditioning, a separate bedroom, an ensuite bathroom, a hairdryer, a TV and DVD player, a dining table and kitchenette. Surrounded by luscious landscaped gardens, tropical Queensland palms and native flowering bushes, the Suites are also designed to take advantage of the refreshing Moreton Bay breezes through large sliding glass windows. 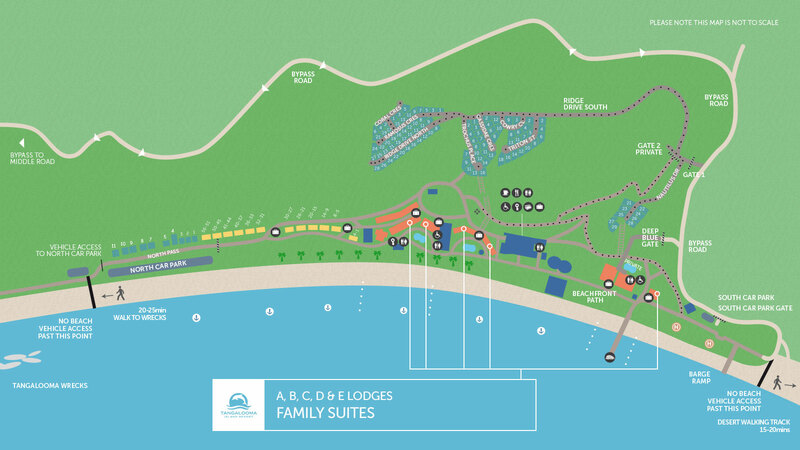 The Family Suites differ from Resort Units as they offer a separate bedroom and living area, allowing more spacious living for longer stays. Each Suite features a kitchenette with ¾ size fridge, a convection microwave oven, an electric frypan, a toaster, and tea and coffee-making facilities. The Suites can sleep up to 6 guests.